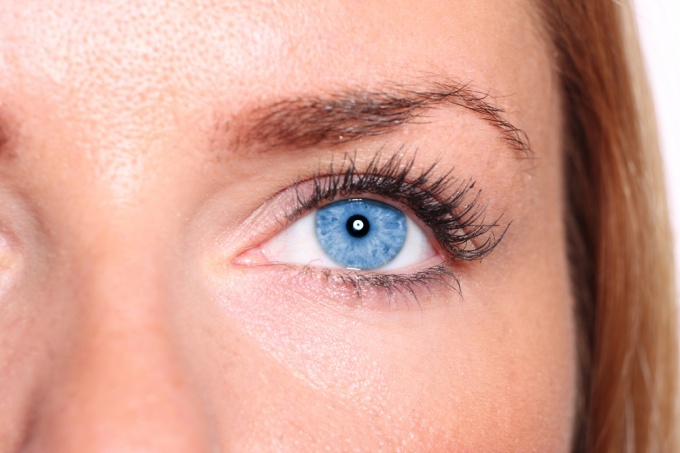 Drooping corners of the eyes – a problem faced by many women. This is due to the fact that the circular muscle of the eyeand over time loses its elasticity and begins to pull a layer of skin. It gives the face a tired expression, adds a few extra years. There are several ways to solve this problem. The fastest way to lift the corners of the eyes – do it with the help of skillful makeup. Move the inner eyelid and draw an arrow upward, the lower lid closer to the bottom corner of the eyeand lightly touch up the shadows and dark tones (up arrow).When you are painting the outer corner of the eyebut leave the empty line of your lower eyelid (do not connect the lower and upper arrows), and after applying eye shadow on the upper eyelid, vysvetlit towards the temple neat stripes from the corner of the eyeand the edge of the eyebrow. Do exercises for eyes, firming eye- ing muscles.1. Quickly close your eyes tight. So you can repeat 100 times, several times a day. 2. The index fingers are put on the lateral edge of the eyedown and press them to the head. Slowly and strongly zazhmurte, without moving your fingers from the muscles. 3. On the lower edge of the eyenits attach the bottom edge of the palms, slowly and strongly zazhmurte. 4. On the upper edge of the eyenits place the bottom edges of the palms, slowly and strongly zazhmurte, without moving the hands with the eyestion of the muscles.These exercises should be performed systematically from 50 to 100 times. The most radical method of raising the corners of the eyes – blepharoplasty (from the Greek. blepharon – eyelid). The problem is solved with the help of plastic surgery, which is called a "canthopexy". This procedure is not cheap (about 30 000) and to some extent risky. If all goes well, you'll get rid of this cosmetic defect. The effect is achieved by the tightening of the circular muscles of the eye. You can do canthopexy, pre-obsledovanie with your therapist on the lack of contraindications for such operations. You should not be disease, which in the case of surgical intervention could cause swelling of the century. After conducting canthopexy about a day you will have to spend in the clinic, the doctor was able to control the dynamics of your condition. Scars after such an operation are hardly noticeable at first they hide in the folds of the eyelids, and then taper off.